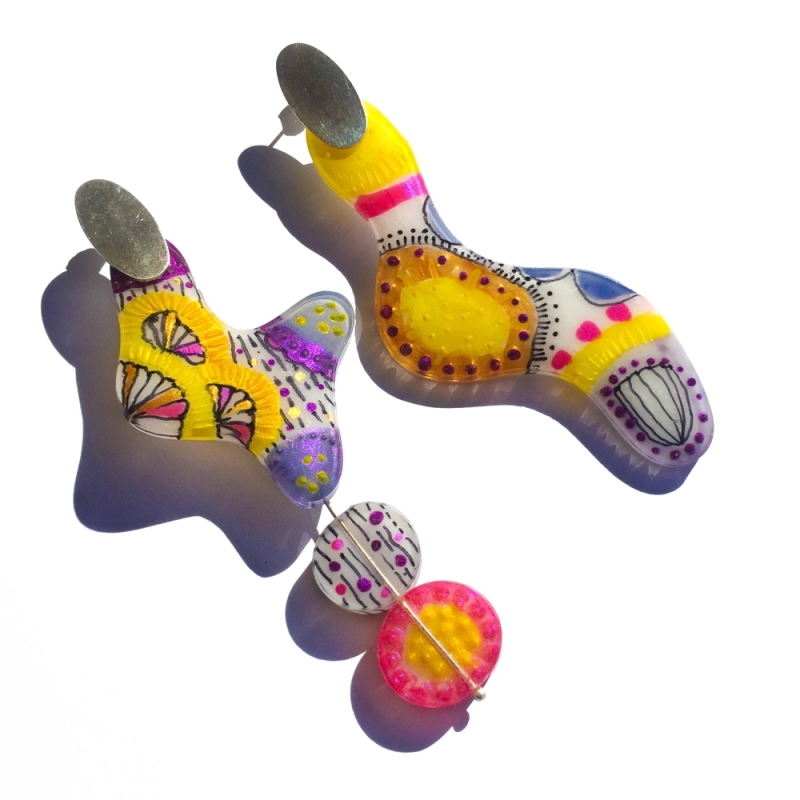 Amoebas, graffiti, carnivals and God knows what other odd images crossing my head meet in these big, bold, asymmetrical earrings. Hand painted in epoxy resin, with ink, cold enamel and varnish and riveted to a sterling silver oval with pin and ear nut. It is part of the Garabatos Collection (meaning scrawls in Spanish). Like the scrawls one draws on a notebook while attending a boring class. I just let my hand flow freely. My inspiration comes from street culture, traditional Andean dancing costumes and local festivities in Chile. Each piece is made from scratch, nothing is made en masse. A new mold is created, and all painting and finishing is done by hand. Whilst I take care to have the same patterns, colours and designs, the nature of handcrafted means that there may be slight variations in each piece. Please keep in mind that the picture is referential. Each pair will always be beautiful.